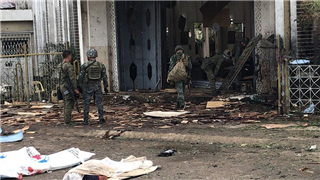 Twenty people were killed and 111 others wounded on Sunday as two blasts went off inside and near the entrance of a Roman Catholic church on the island of Jolo in the southern Philippine province of Sulu, police said. 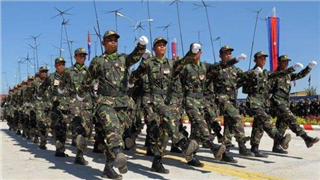 Cambodia on Thursday celebrated the 20th anniversary of the founding of the Royal Cambodian Army (RCA), an arm of the Royal Cambodian Armed Forces (RCAF). 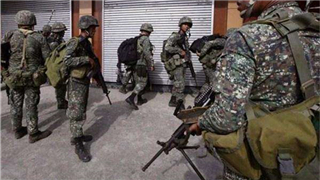 Three soldiers were wounded on Thursday in a fresh fighting between the government troops and remnants of a local Maute group fighters in southern Philippines Lanao del Sur province. 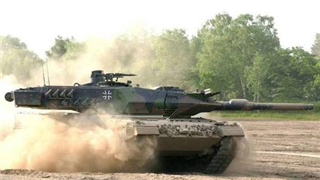 The total value of arms exports approved by the German government fell by nearly a quarter in 2018, according to the German Ministry of Economic Affairs quoted by the German Press Agency (dpa) on Thursday. 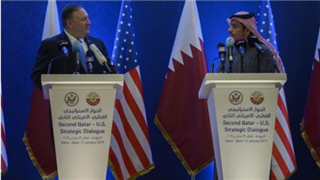 U.S. Secretary of State Mike Pompeo and his Qatari counterpart Sheikh Mohammed bin Abdulrahman Al Thani on Sunday signed a Memorandum of Understanding on the expansion and renovation of Al-Udeid Air Base. 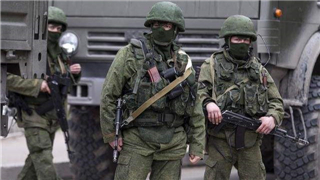 The Israel Defense Forces (IDF) announced Sunday morning that it has found another cross-border tunnel allegedly dug by the Hezbollah militant organization. 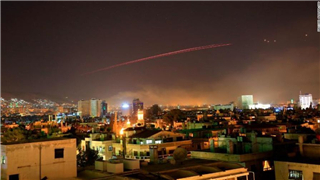 The Syrian air defenses intercepted most of the missiles launched by Israeli warplanes on areas near the capital Damascus on Friday night, the Syrian army said. 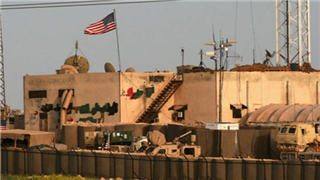 The Turkish presidential spokesman said on Tuesday that the United States should hand over its 16 military bases used for fighting the Islamic State militants in northern Syria to Turkey or the local authorities after its pullout. 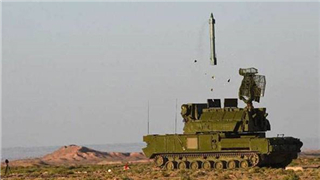 Russia is developing the Kalibr-M cruise missile with a range of over 4,500 km, which is able to carry a conventional or a nuclear warhead, TASS news agency reported Tuesday. 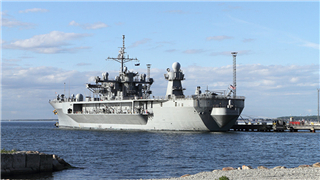 The dock landing ship Fort McHenry of the United States Navy pulled into the Romanian port of Constanta on Monday for a three-day stopover, the Romanian Navy Staff informed in a press release. 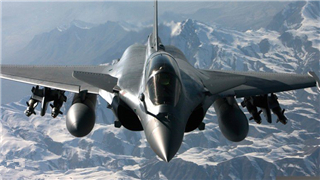 Allegations and counter-allegations continue to fly between India's main opposition Indian National Congress (INC) and the centre government over the ongoing raging controversy involving "Rafale" fighter jets deal with France. 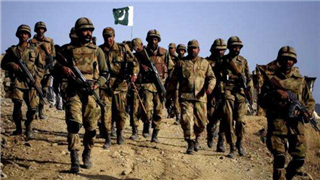 The Pakistani army has inducted a locally manufactured rocket in the Multiple Launch Rocket System (MLRS) of its corps of artillery, which has a range of 100 kilometers, the military said on Friday. 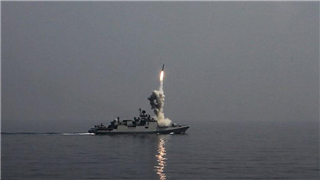 South Korea's navy on Friday conducted this year's first maritime drills in western waters, south of the maritime buffer zone which the country set with the Democratic People's Republic of Korea (DPRK) to reduce military tensions. 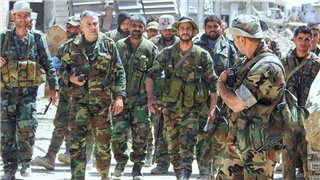 The Syrian army on Monday ended the mandatory service for non-commissioned officers and conscripts who joined the army in 2010, state-run SANA news agency reported. 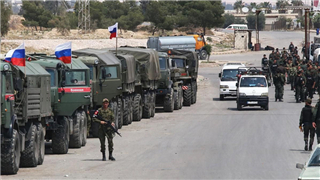 Russian and Turkish military will continue to coordinate their steps to eradicate terrorism in Syria after the withdrawal of U.S. troops, Russian Foreign Minister Sergei Lavrov said Saturday. 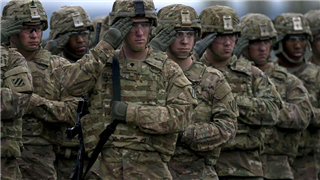 On December 19, the White House said the estimated 2,000 US troops are being withdrawn from Syria since the extremist organization, the IS in Syria had been "defeated". 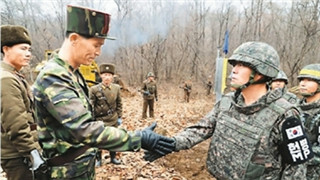 South Korea's military planned to facilitate tension reduction with the Democratic People's Republic of Korea (DPRK), while preparing to restore its wartime operational command of South Korean troops from the United States, Seoul's defense ministry said Thursday. 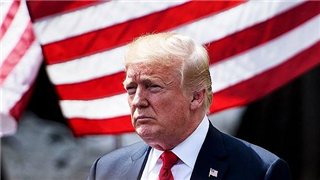 Trump directs Pentagon to establish "Space Command"
U.S. President Donald Trump issued an order Tuesday directing the establishment of "Space Command." 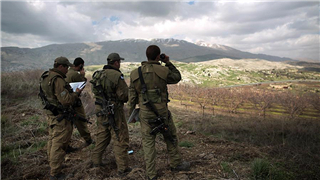 Israel's army said on Sunday that it has uncovered a fourth "attack tunnel" crossing from southern Lebanon into Israeli territory. 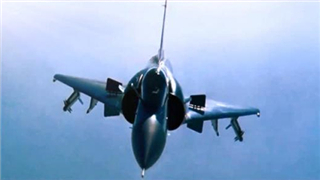 The United States military said it conducted an airstrike in Somalia on Saturday, killing eight al-Shabab terrorists. 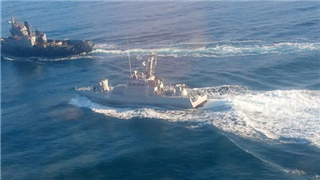 Ukraine kicked off preparations for the Sea Breeze 2019 international military exercises to be held in the Black Sea next year, the country's Defense Ministry said on Tuesday. 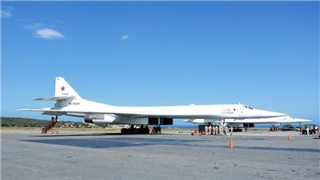 Statements by U.S. Secretary of State Mike Pompeo on Twitter about the landing of Russian strategic bombers in Venezuela are unacceptable and unprofessional, the Russian Foreign Ministry said Tuesday. 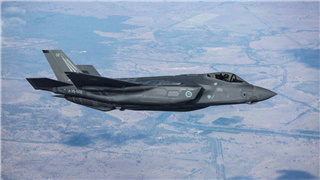 Australia has taken delivery of two ultra-expensive, state-of-the-art fighter jets, a move which defence chiefs say will strengthen the deterrent effect of the entire Australian Defence Force. 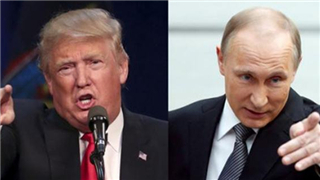 The Russian Defense Ministry on Friday called U.S. remarks on a recent chemical attack by militants in Syria's Aleppo an attempt to whitewash international terrorists. 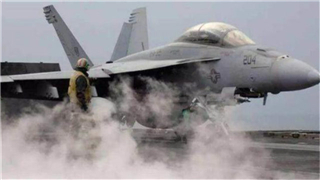 An F/A-18 fighter jet and a KC-130 tanker plane belonging to the U.S. Marines collided and crashed off Japan's western coast early Thursday morning, with five of the seven crew members still missing. 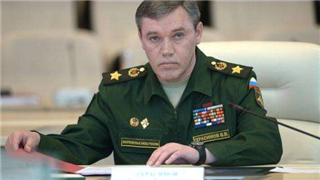 The military buildup of the United States and its allies has forced Russia to increase its combat potential to guarantee its security, Chief of the General Staff of the Russian Armed Forces Valery Gerasimov said Wednesday. 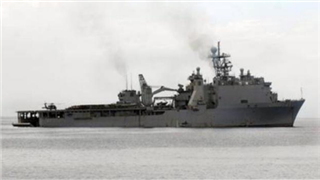 The U.S. military has started the preparations to dispatch a warship into the Black Sea amid the tension between Russia and Ukraine over the Kerch Strait incident. 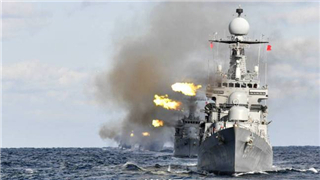 The DPRK and the US have been stuck over which comes first: the "removal of US sanctions imposed on the DPRK" or the "abandonment of nuclear projects by the DPRK". 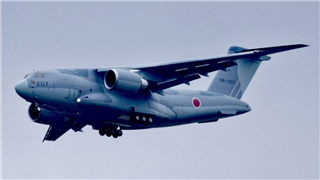 The Japanese Air Self Defence Force (JASDF) is in India for a bilateral air exercise "SHINYUU Maitri-18" with the Indian Air Force (IAF) from December 3-7, said official sources on Monday. 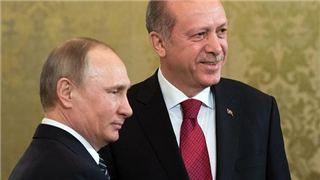 The presidents of Russia and Turkey agreed on further steps to implement the agreement over a demilitarized zone in Syria's Idlib province. 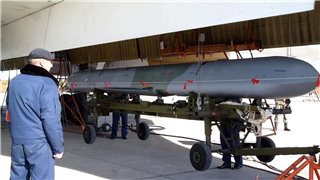 The U.S.-led coalition fired several missiles on military sites in central Syria on Sunday evening, causing damages only, state-run SANA news agency reported. 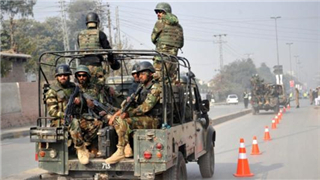 The Pakistani army said on Saturday that security forces in an operation killed a "wanted terrorist" in the country's northwestern Khyber Pakhtunhwa province and rescued six civilians held hostage. 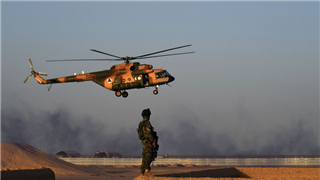 At least 30 civilians were killed in a U.S. air strike in southeastern Afghanistan, officials and local residents said Wednesday, as NATO forces accused the Taliban of using women and children as protection. 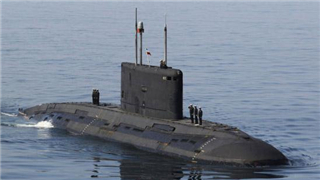 Iran's Navy on Thursday added two new Ghadir-class submarines to its fleet in southern waters, official IRNA news agency reported. 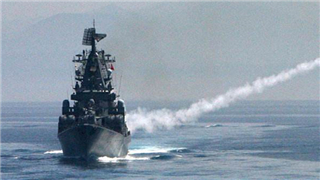 Russian forces opened fire on and seized three Ukrainian naval ships in Russia's territorial waters in the Black Sea on Sunday after they violated the Russian border.